Esteban Ocon is a French formula one driver who currently drives for the Force India formula one team. He made his debut in the 2016 Belgian GP with Manor racing. Ocon joined Force India in 2017. Ocon holds the all time record for most number of consecutive finishes from start of a career, 27. He gave stiff competition to Sergio Perez, his team mate in both qualifying and course of the race. He is one of the budding young F1 drivers who is sure to make a impact on the list of all times greats in the near future. Ocon too predictably started off his career with success in karting before progressing to single-seaters in 2012. The 21-year-old Frenchman already holds the all-time record for most consecutive finishes from the start of a career, with 27. Making his debut in single-seaters in 2012 with the Koiranen Motorsport to finish at the 14th place. His performances at the partial campaign in the Formula Renault 2.0 Alps gave him a boost for the 2013 season where he finished at 3rd place moving to the ART team. Ocon had a dream debut in the Formula Three in 2014 season, playing for Prema PowerTeam was on top of the standings right from start till the end when he went on to claim the championship with a round to spare. French Motor racing team, ART Grand Prix signed the promising Ocon, went on to claim the championship in the debut season despite finishing at podium only once. It wasn’t an easy path for Esteban Ocon towards the F1 padlock, had to go through multiple tests to prove his mantle despite the championships he had in his baggage. In 2014 he made his F1 Grand Prix weekend debut, with a Friday practice outing for Lotus at the Abu Dhabi season Finale. More F1 tests followed in 2015, this time with Force India. More importantly, Ocon’s race career progressed with the addition of Mercedes backing, another title - the GP3 Series crown with ART - and a debut DTM outing for the German auto giants at Hockenheim. Being loaned as a reserve driver for Renault in the 2016 season, impressed behind the wheel during several Friday practice sessions to earn a signing from the Mercedes-powered Manor team in the 2016 mid-season. The ever-improving Force India squad roped in the promising talent for the 2017 season as a part of his multi-year contract with Mercedes. Ocon made use of the platform more than enough, by streaking 27 races consecutively without a DNF (Did Not Finish) until the Brazilian GP where he had an accident with his fellow countrymen Grosjean. Completing his first full season at the F1 arena with 87 points and 8th position in the championship standings, the Frenchman from Normandy has already shown a lot of signs of his bright future. 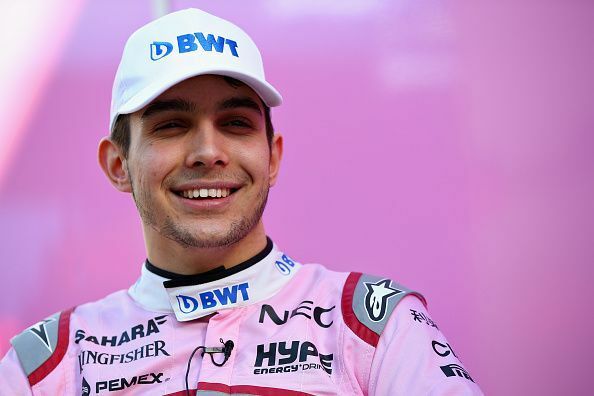 F1: Ocon to join Williams?